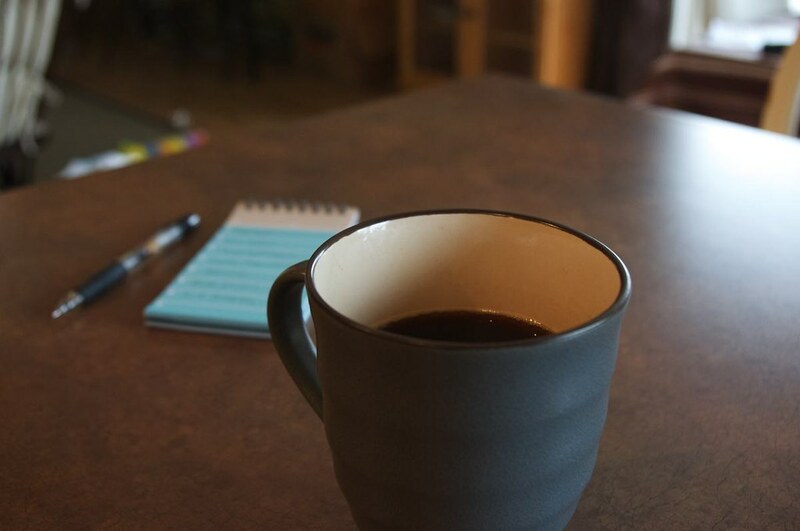 With my morning coffee, there are several criteria that have to be met in order for me to be satisfied. The coffee must be hot. Bold. Fresh, relatively. And last, it must be consistent. This last item relies heavily on the “setup”, or your equipment and environment you use to make your joe. If you listen to the Minimal Mac podcast, Enough, you may have heard me and a few others discussing our own setups. I mentioned that I've just recently lost a dear friend, the espresso machine my family gave me for Father's Day in 2010. I say dear with my tongue-in-cheek, but there's some truth to the description. This machine — when used correctly — delivered the criteria I listed above. When it broke, I had to find a replacement, and wanted one that was considerably less expensive. And I've found it with the AeroPress. This piece of equipment has been on my radar for a couple of years, but I never made the purchase because my needs were met. I was happy to grab one now due to the low cost of $25 and the great reputation they have. I trust the opinions of other coffee nerds like Shawn Blanc, Marco Arment and Brett Kelly, who've all gone on the record to praise the AeroPress. If you've never used one, here's my impressions and how it compared to my mid-range espresso machine. 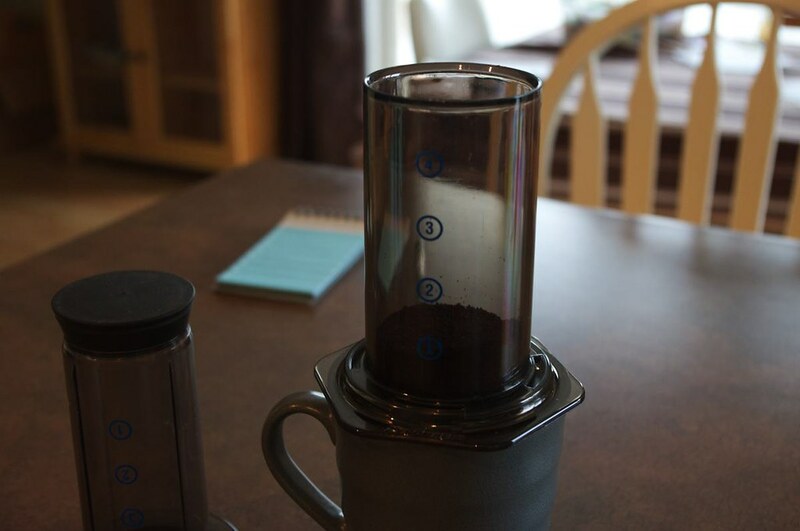 Quality of the end result aside, there's a lot to like about using the AeroPress. It's quick — from start to finish, the process takes me around 5 minutes. You use a small amount of hot water, so the boiling doesn't take long. Once the water is at the right temp, the brewing process is less than one minute. Then the clean up, which essentially consists of rinsing everything off, takes another minute. If you refuse to embrace the opportunity of enjoying the moment when crafting a beverage, then you'll love this device. What about the end result? I'd have to say, fantastic. It's definitely on par with the espresso I'd pour from my old machine. Even better, it's easier to get the same results every time. With an espresso machine, there's a lot more room for error. 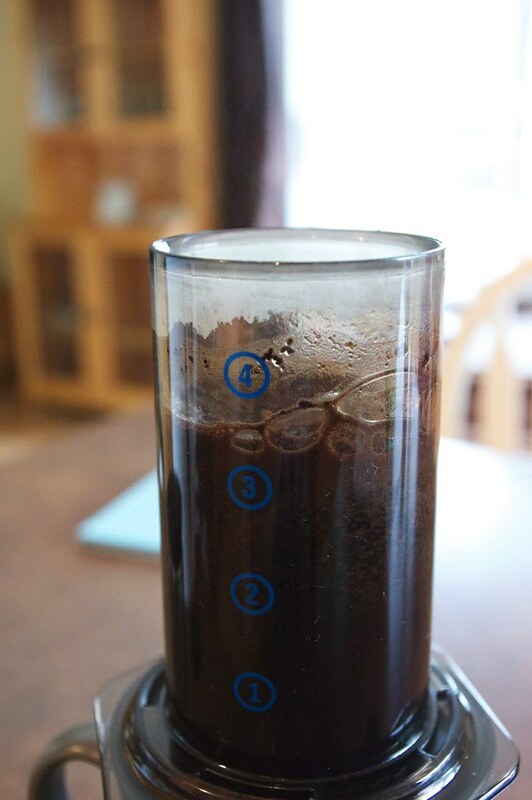 I see why the AeroPress has become so popular — the cost, ease of use and consistency are hard to beat. My beloved espresso machine was also great, but the usage and silence of the AeroPress, not to mention the lower cost, make this a better purchase if you prefer your coffee strong and without foamed milk etc.